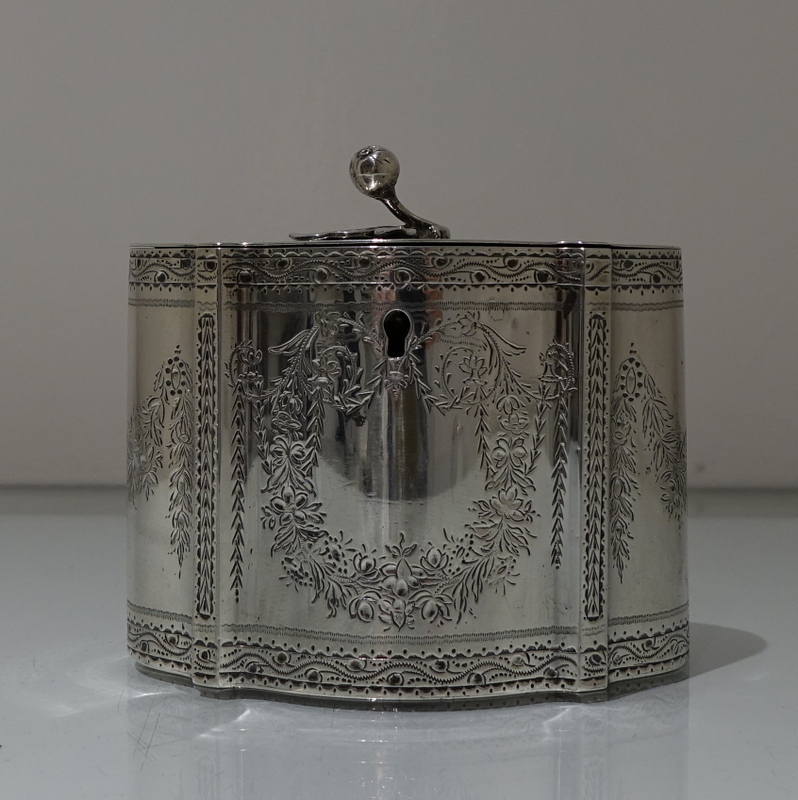 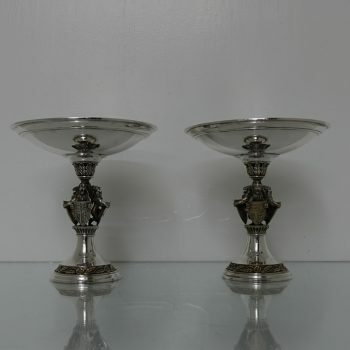 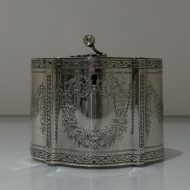 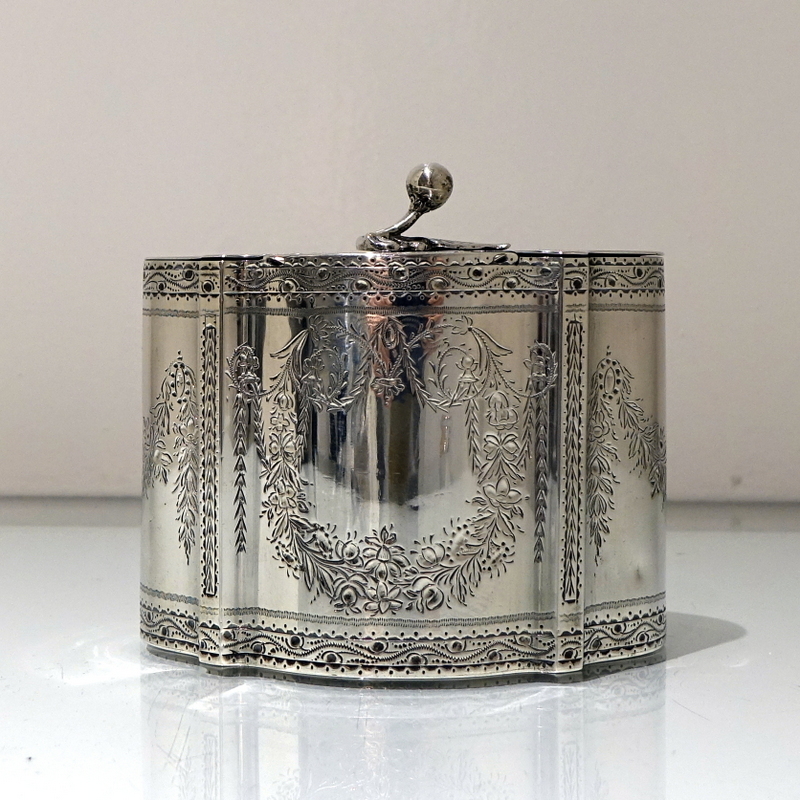 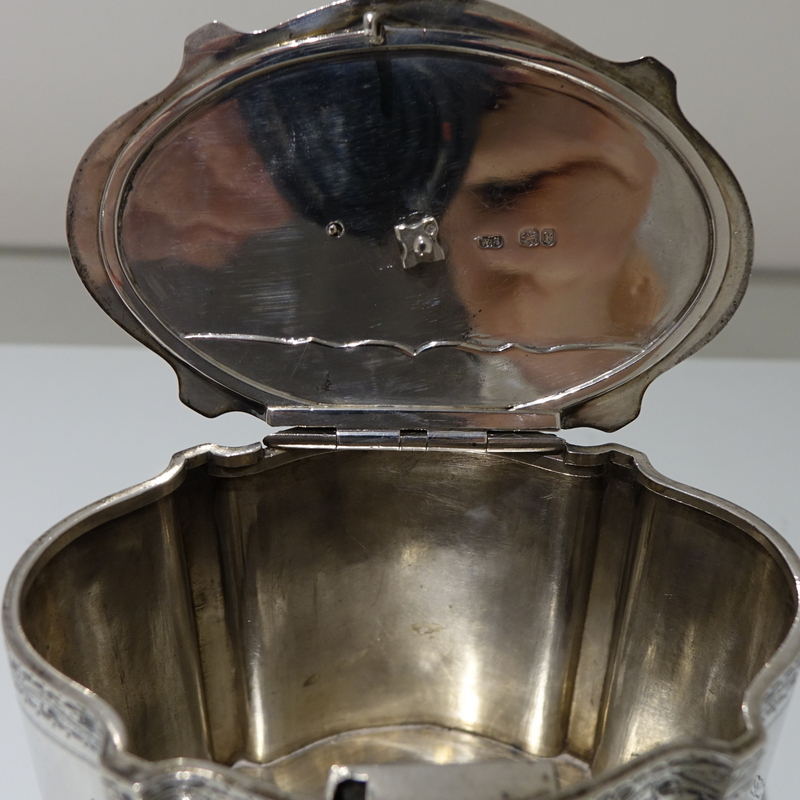 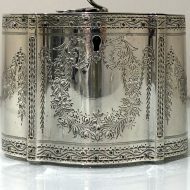 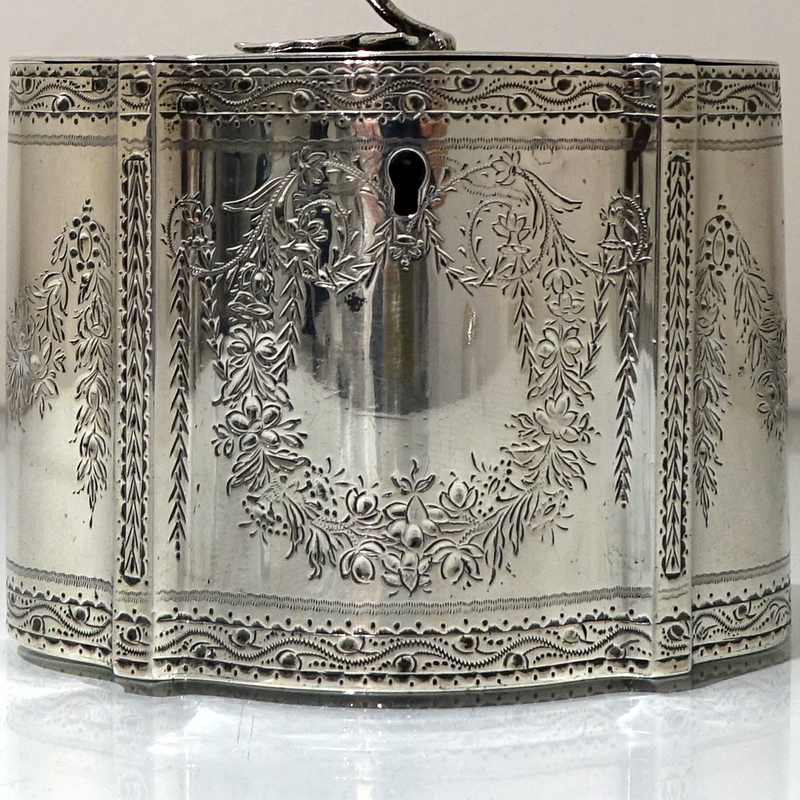 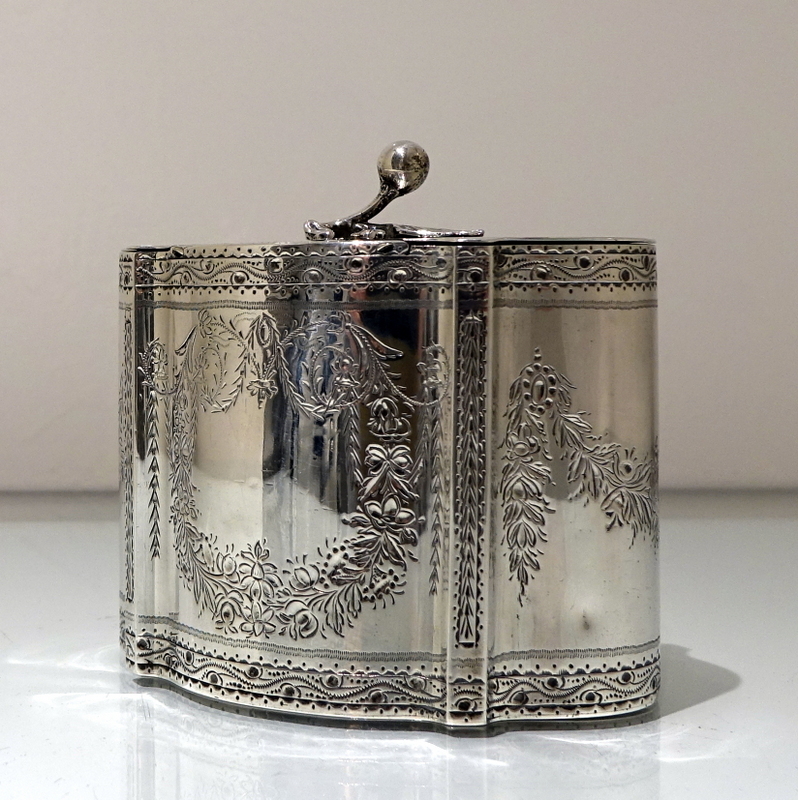 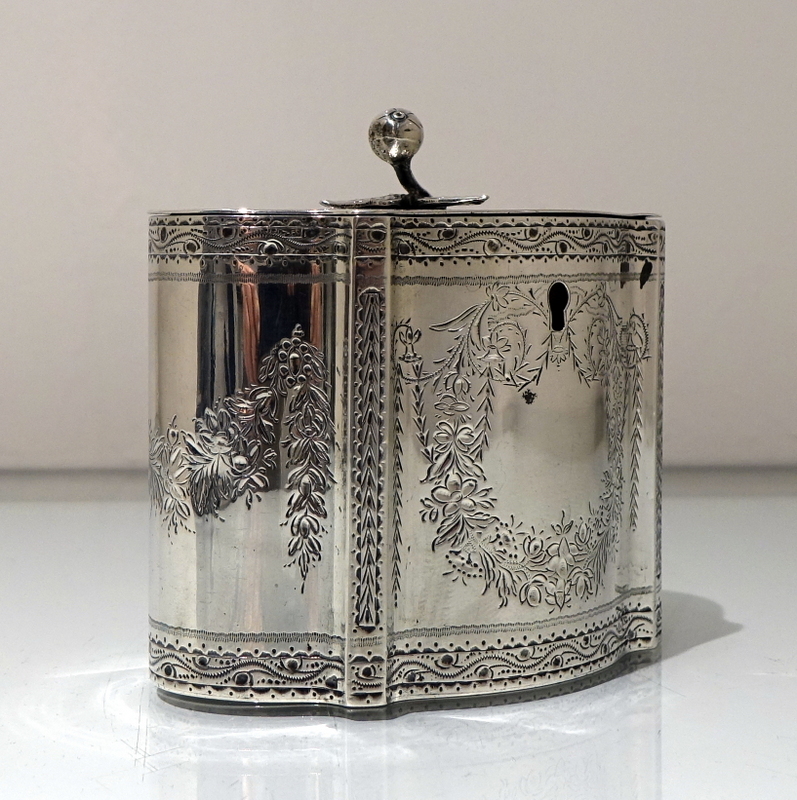 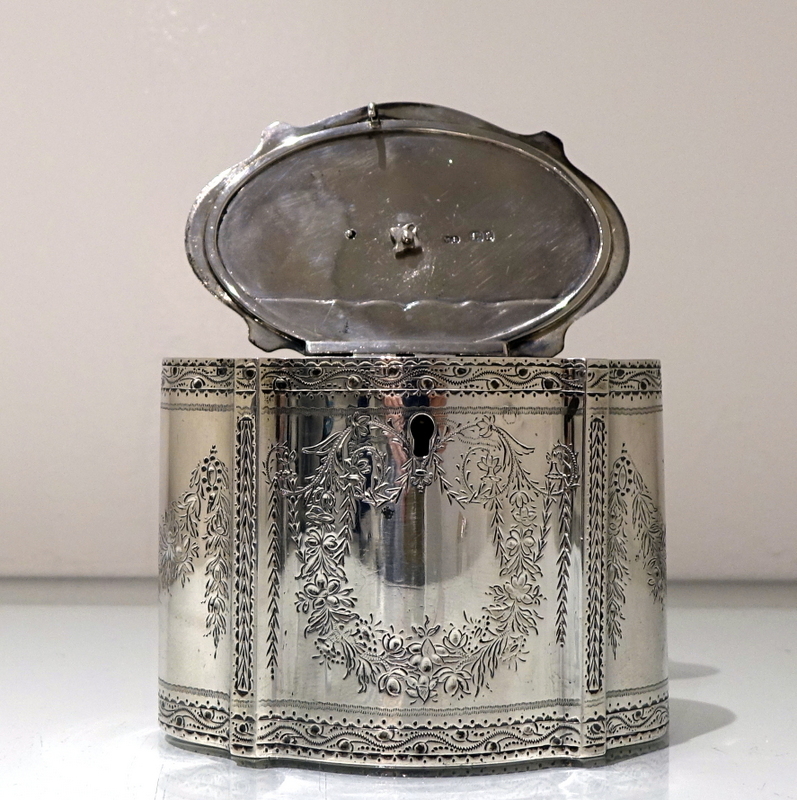 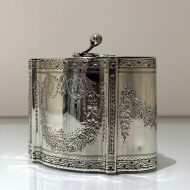 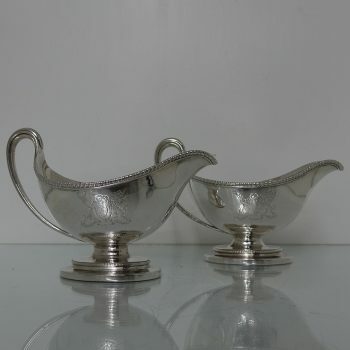 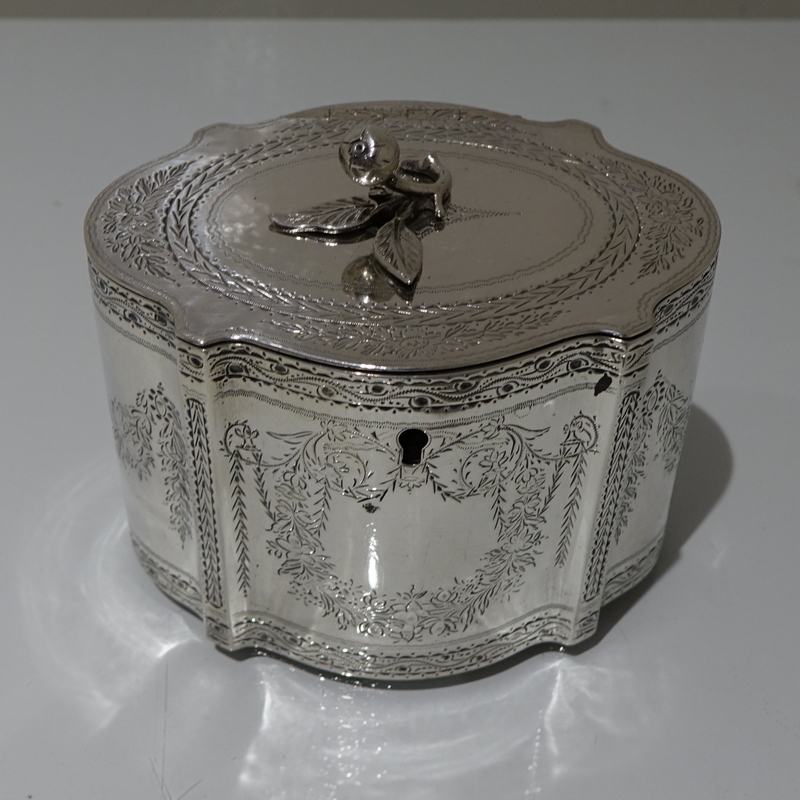 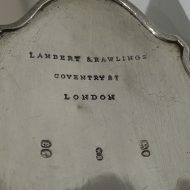 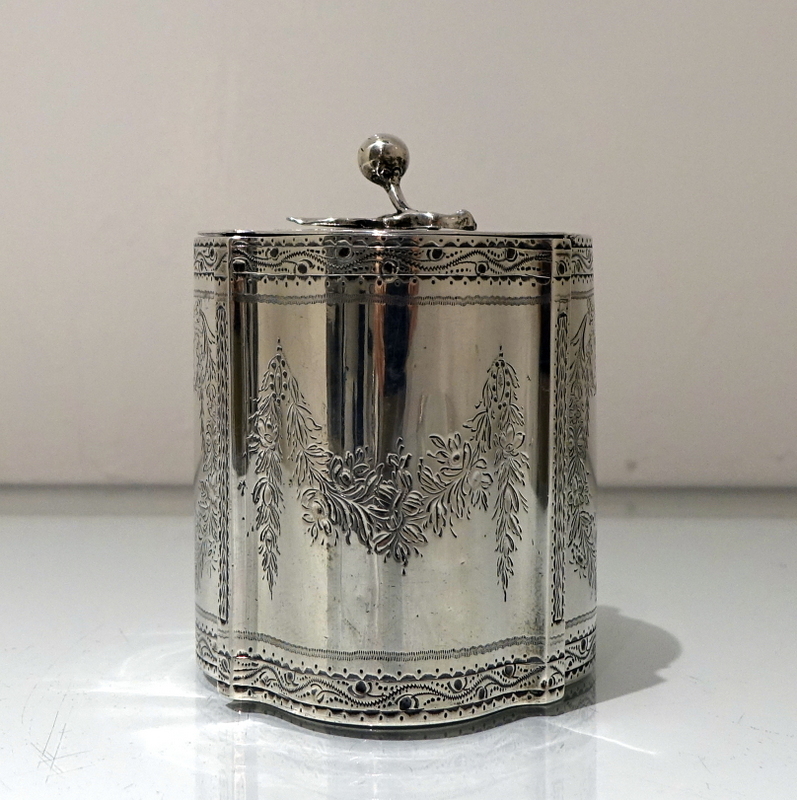 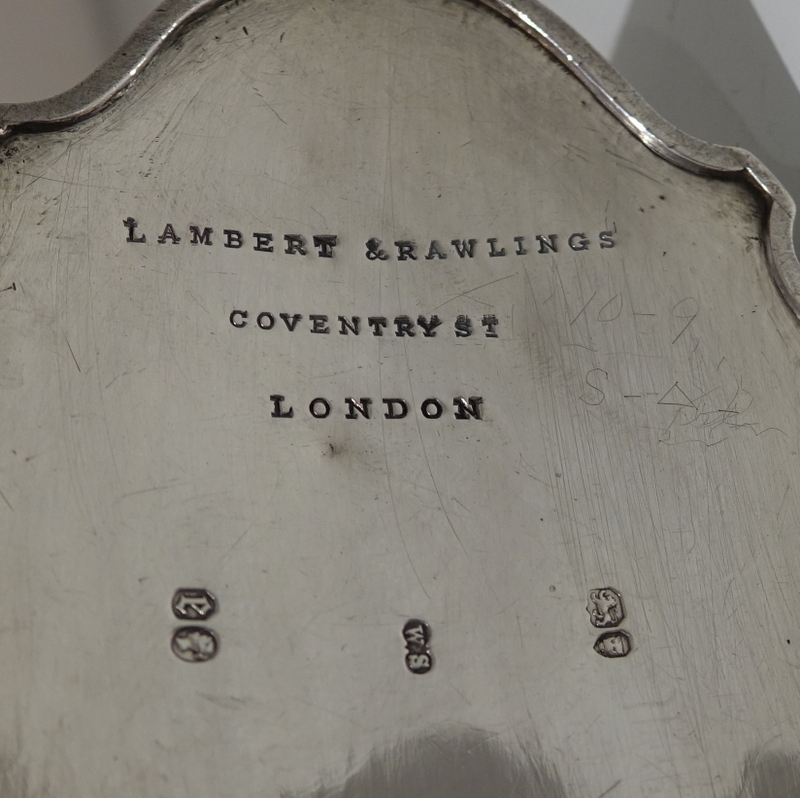 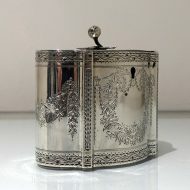 A stylish Victorian shaped oval bright cut engraved tea caddy. 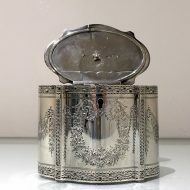 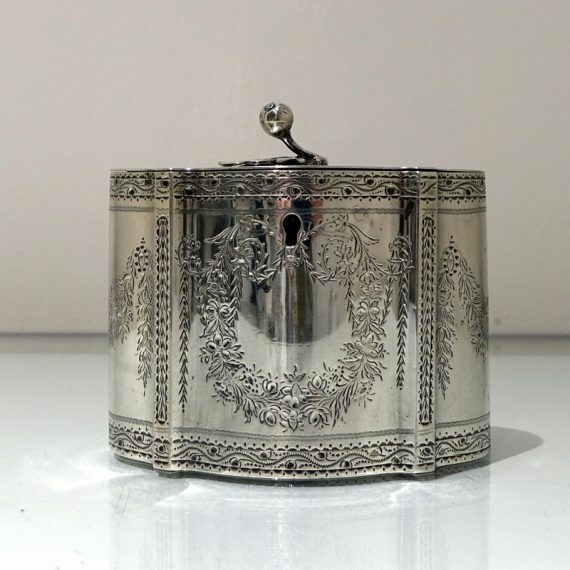 A stylish Victorian shaped oval bright cut engraved tea caddy decorated with elegant double cartouches and intricate upper and lower engraved borders. 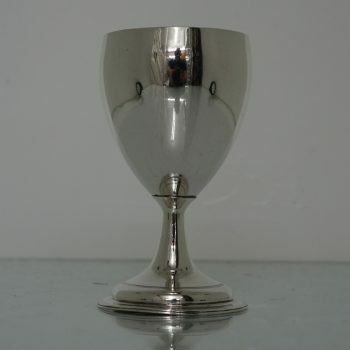 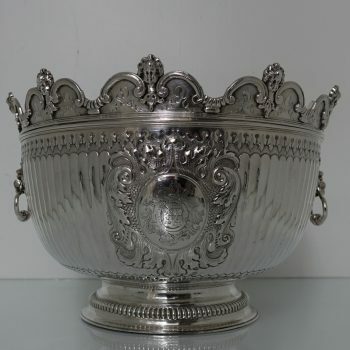 The lid is hinged and crowned with a stylish fruit finial.